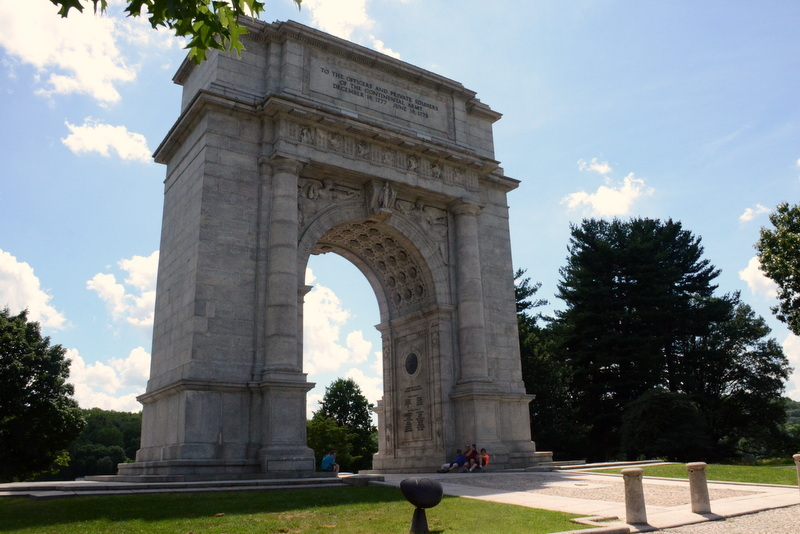 The National Memorial Arch in Valley Forge National Historic Park stands as a testament to the fortitude and perseverance of George Washington and the soldiers of the Continental Army during the winter of 1777-1778. That winter was a deadly but pivotal time for the men of The Revolution. Even in the midst of bitter cold and near starvation, they were able to rally under the passionate direction of Baron Otto von Steuben. Because of the time spent at Valley Forge, the Continental Army ultimately defeated one of the most powerful forces in the world and finally gained the freedom they suffered and fought so long and hard for. 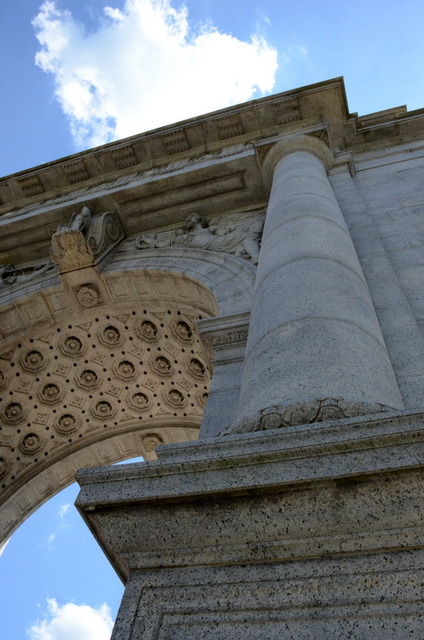 The Memorial was designed by Paul Phillipe Cret to resemble the Triumphal Arch of Titus in Rome (81 AD). 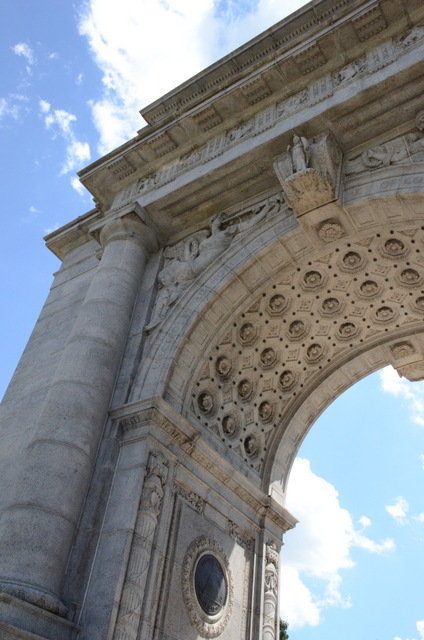 Originally, arches were planned for von Steuben and Washington, but lack of funding kept von Steuben’s memorial on the drawing board. 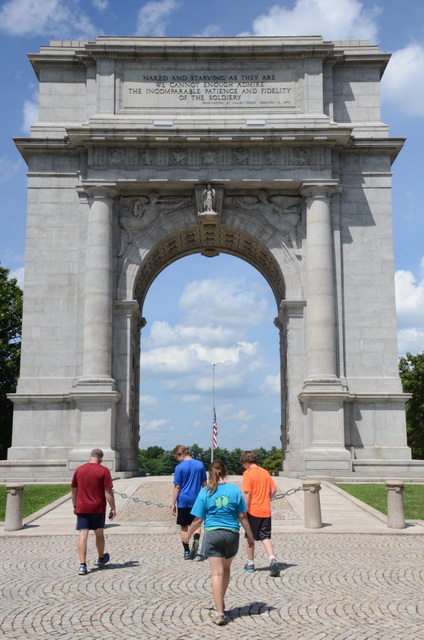 The remaining arch that honors Washington and his army is an impressive monument on its own. It’s made all the more imposing by it’s situation on a hill and the open fields, gentle woods and tiny huts that surround it. We visited the park on one of the hottest, most humid days of last summer so the irony of our situation was almost too much too bear. We were actually praying for just a flake or two of the snow those soldiers endured for months so long ago! 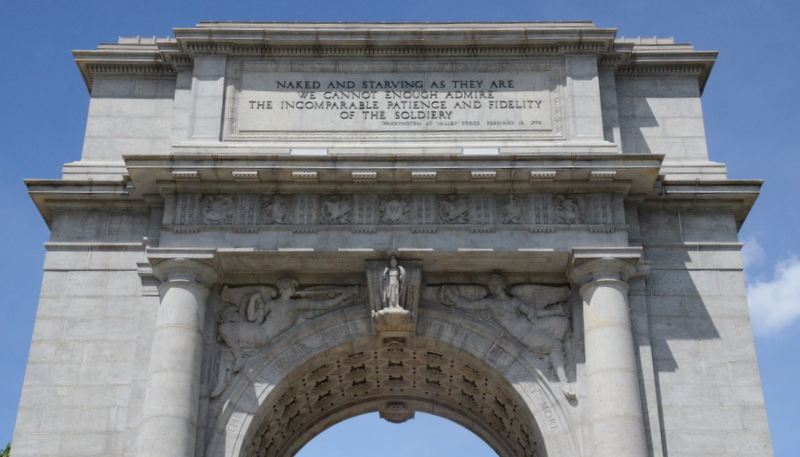 For more information about the National Memorial Arch or Valley Forge National Historic Park, wander over here. 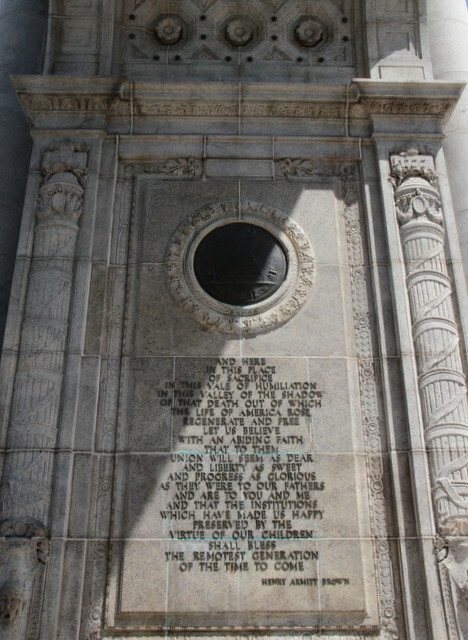 And, if you would like to see other impressive monuments, wander over here.